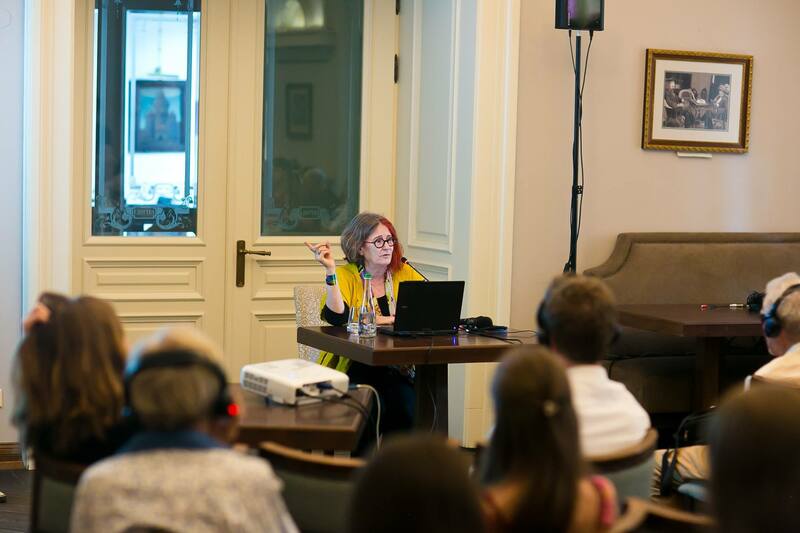 Nash Holos radio has published an article and podcast about my work by Peter Bejger –– based on a lectures I gave in Lviv and Glasgow on the “dark tourism” aspects of Jewish heritage tourism, as well as on my recent posts on Jewish Heritage Europe from my day trips to Jewish heritage sites in western Ukraine. The concept is elastic, and quite multi-faceted. And it has a distinguished historic pedigree. Evidently there are assertions that Thomas Cook, yes the Thomas Cook that founded the famous international travel agency, took people to see public hangings in England with some of his very first tour groups in the 19th century. And there is even an academic Institute for Dark Tourism in England that promotes ethical research. Research into a social scientific understanding of sites of death and disaster. And how these sites have, or can, become tourist sites, whether appropriate or inappropriate. The world offers so many options for dark tourism: the horrifying, like now visitor-thronged concentration camps; the easily accessible, like Ground Zero at the 9/11 memorials in Lower Manhattan; the far-flung and harder to reach, like the haunting ruins of lovely ancient Armenian churches in the isolated reaches of what is now northeastern Turkey. Reflecting on those ruins brings up uncomfortable questions on what happened to those people who once worshipped in those churches. There is also the edgy. People are usually impressed when you’ve told them you were able to tour the radioactive zone around Chornobyl. Which brings us to the endless supply of dark tourist sites in Eastern Europe, and specifically Ukraine. The first edition of Ruth Ellen Gruber’s book Jewish Heritage Travel: A Guide to Eastern Europe was published twenty-five years ago. This was the first, and is still considered the most complete, Jewish travel guide to the region. This entry was posted in Appearances, Articles, In the media, Jewish Heritage, talks, Travel by Administrator. Bookmark the permalink.